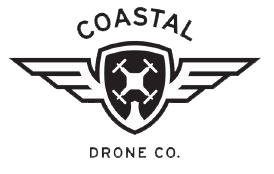 If you are looking to get setup for professional drone work in Canada, I highly recommend exploring the training below. Meets Transport Canada knowledge requirements (TP15263) for pilots of Remotely Piloted Aircraft Systems 250 grams up to 25 kg operating within Visual Line of Sight (VLOS) under the Advanced Category. Meets Transport Canada knowledge requirements (TP15263) for pilots of Remotely Piloted Aircraft Systems 250 grams up to 25 kg operating within Visual Line of Sight (VLOS) under the Basic Category. Useful for anyone preparing for commercial UAV work in Canada, to learn the techniques for communicating by radio effectively. After you take this online course, you can challenge the exam at an approved facility.